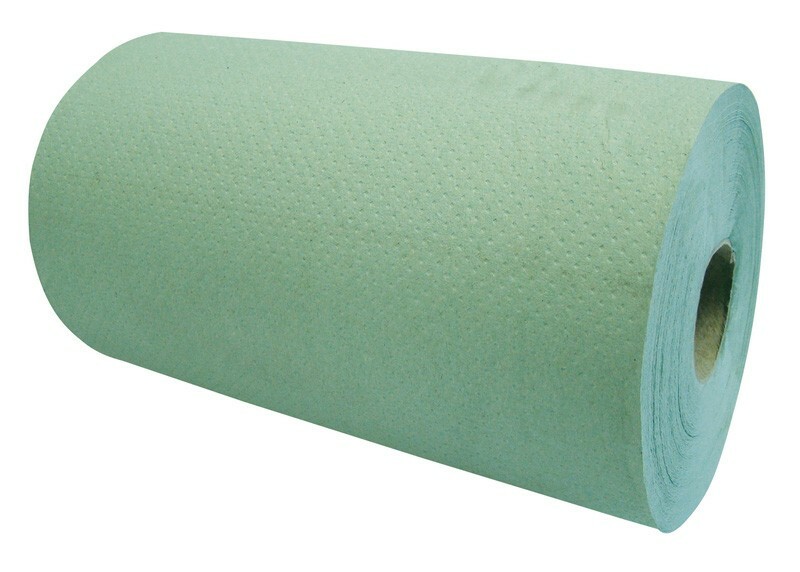 These heavyweight 1ply green paper rolls, and are perfect for use in a food processing environments or as a towel to dry hands. Traditionally used in school kitchens, this product is ideal for lining trays and shelves as well as the general cleaning of spills. Designed for use with a plastic or metal 25cm (10") hygiene roll dispenser. 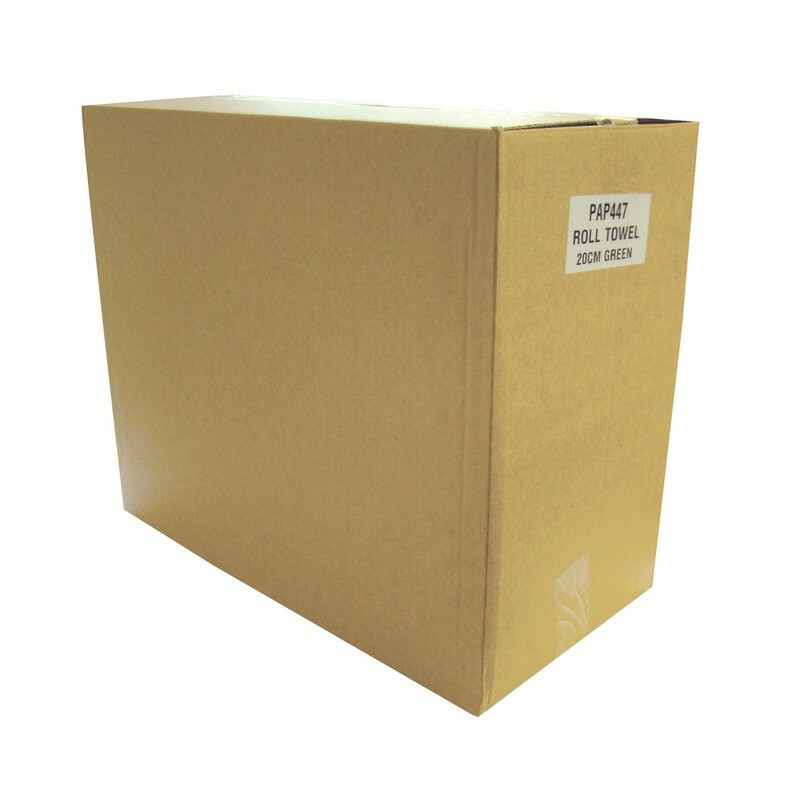 The rolls are 20cm (8") wide, 1ply, green with 16 rolls per case. Un-perforated rolls - remove as much towel as you require. Open and ready to use wiper offer excellent sheet usage. Can be used for several industrial and catering applications. Can be used with or without the aid of a dispenser. 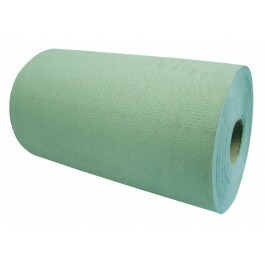 40cm (16") 1ply green rolls are also available from stock. Sold in full cases of 16 rolls.